Our Banknotes and Coins Auction held on the 10th December 2014 contained over 650 lots. It was our last auction before the Christmas holidays and was well attended with well over 90% of lots finding new homes. 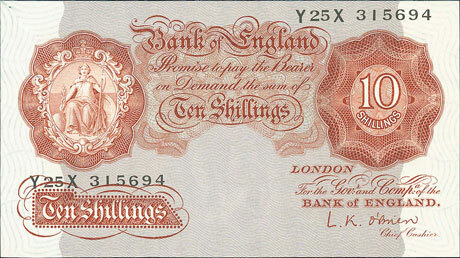 In the British banknote section this last series Bradbury 1914 £1, graded as extremely fine, sold for £330. These O’Brien 1955 10 shilling notes sold as lots 178 and 179. They were consecutive numbers and both graded at about uncirculated. They sold for an impressive combined total of £401. 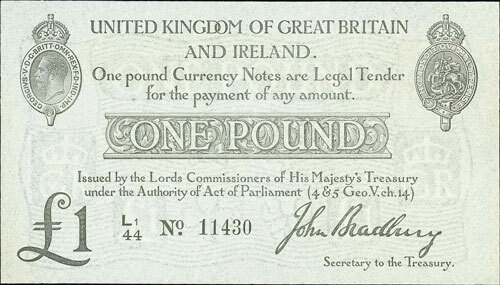 In the world banknotes section this Turkey 1930 (1942) 1L, graded as about uncirculated, achieved £118. 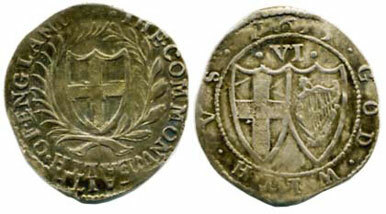 We started the coin section with early British coins which proved particularly popular. 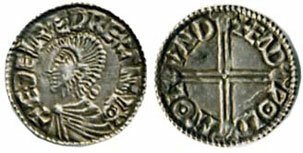 Stand out items included this Aethelred II penny which was sold for £283. And this William the Conqueror penny realised £271. 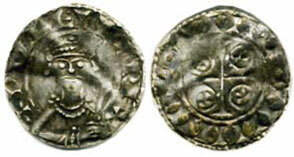 James I coinage was particularly sought after. This hammered gold Laurel sold for an amazing £855. 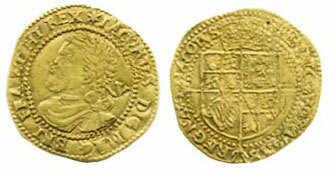 And this gold quarter laurel which achieved £413. 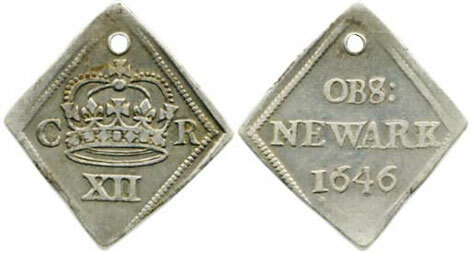 Always popular in our sale rooms this Charles I 1646 Newark shilling sold for £401, despite being holed. 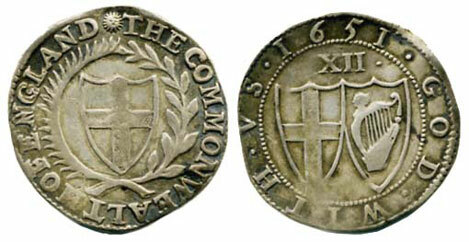 There were two Commonwealth coins offered in this auction, this 1651 shilling which sold for £389. 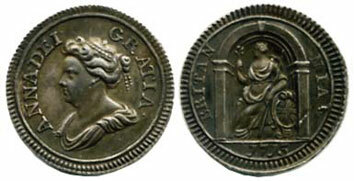 And this 1655 sixpence which sold for £531. This unusual Queen Anne 1713 silver pattern farthing achieved £914 on the day. 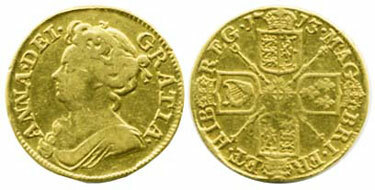 This high graded George II 1732 crown also sold for the high price of £1888. 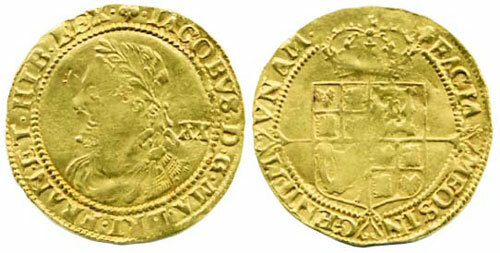 Gold coins were also selling well, including this Charles II 1665 guinea which sold for £578. 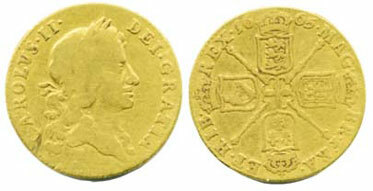 And this George II 1763 guinea graded as about extremely fine sold for a whopping £3894. Lots 393 to 408 in this auction contained an unusual range of calling card cases which were compiled by the same source. They proved to be popular in the auction room achieving a combined total of £1,902. 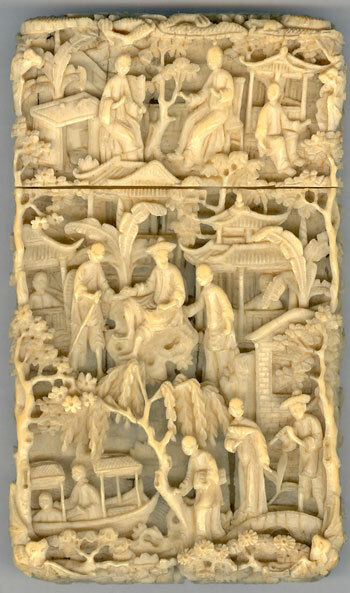 In particular this Chinese style carved bone case which sold for £259. There were a good number of mixed world lots which were well viewed and were keenly contested. Individual world lots sold well also including this Scottish Alexander III penny which sold for £283. Our next banknotes and coins auction will be held on Wednesday 18th February 2015. Look out for our full catalogue for this sale which will appear on our website in the next few weeks or keep an eye on our Twitter and Facebook accounts which will include updates of our latest auction news. The directors and staff would like to wish all our customers a very happy Christmas and a prosperous New Year.